It’s not often that you get the chance to work with a world first, and there’s even less opportunity to have one in your home. That said however, for those looking for quality laminate flooring, we can provide the world’s first 100% water resistant laminate floor thanks to Aqua-Step Laminate Flooring. Developed in 2001, Aqua-Step blew the flooring world away with its first 100% water-resistant laminate floor. Perfect for bathrooms, laundry rooms, and basements, Aqua-Step Waterpoof Laminate Flooring provides the versatility and reliability needed for rooms where water, condensation, and changes in temperature occur regularly. This is thanks to the premium quality resin material used combined with ingenious honeycomb structures that resist moisture and condensation — eliminating the threat of swelling completely. 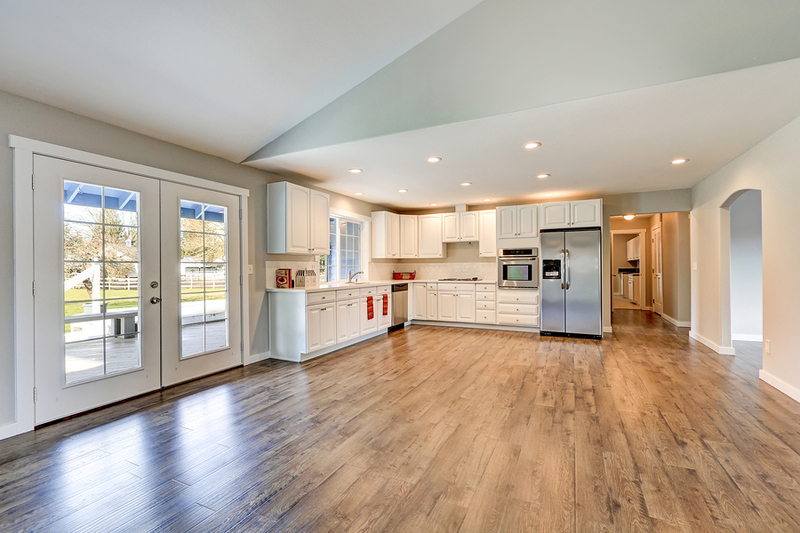 Due to the fact that kitchen and bathroom floors tend to experience heavy levels of traffic, it’s important that any floor can resist busy periods where people will be regularly walking to and fro. The great news with Aqua-Step flooring is that it is also designed to be impact-resistant, and can absorb 30 per cent more sound compared to other floors. Working beautifully with underfloor heating, its surface is also great for retaining heat, which means it is also warm and comfortable underfoot. 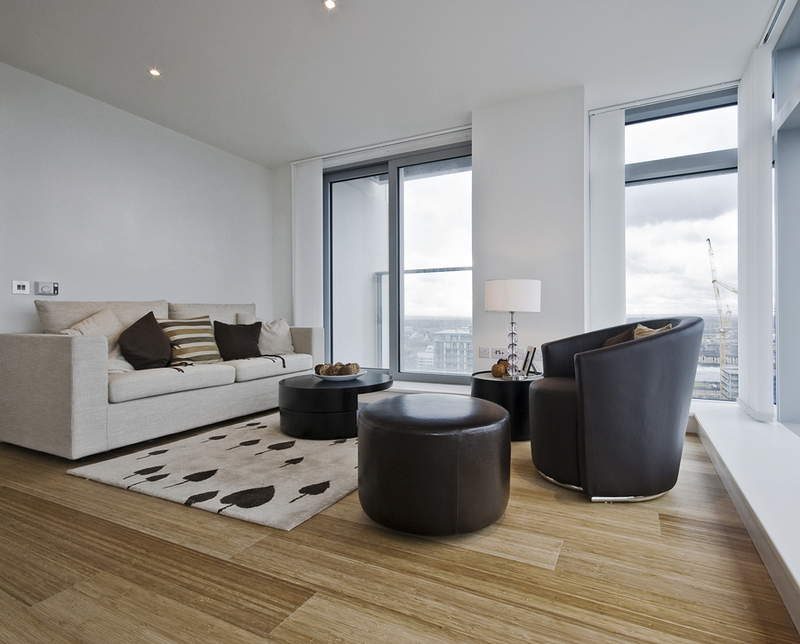 How easy is it to install laminate flooring? Aqua-Step have put an incredible amount of thought into the design of their floors, their planks and tiles come with a revolutionary Uniclic system. Not only is installation easy, but it is also quick. What kind of designs or styles can I get? Aqua-Step designs produces a wide range of waterproof flooring styles for homes and commercial properties. Whether you’re searching for a waterproof wood effect for your kitchen or a cool stone effect for your bathroom, Aqua-Step has designed their flooring with a range of styles and motifs in mind. Can laminate flooring be used for basements? 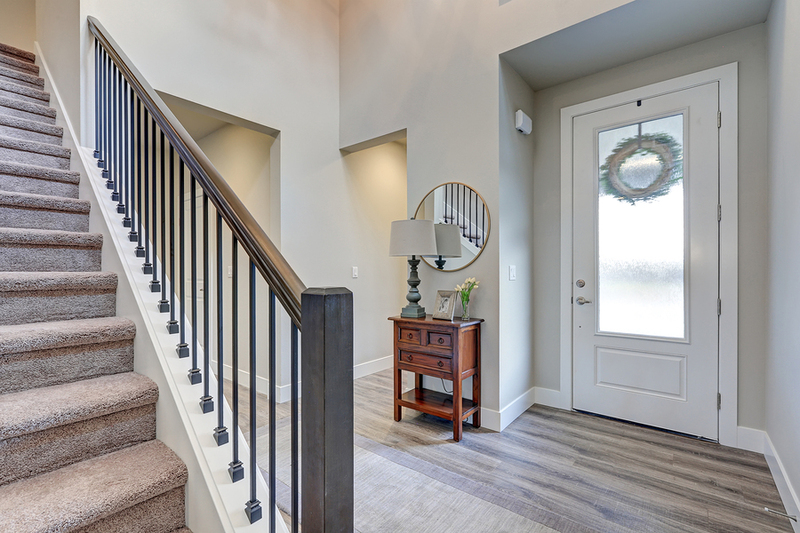 Only certain floors can be placed in basements, but the good news is that waterproof laminate flooring is certainly one of the best options for covering a basement floor. Conventional laminate flooring is still an option, you would still need to install a sub-floor underneath to prevent moisture damage. So, do I still need flooring underlay? Yes, it is absolutely essential, as the correct kind of underlay ensures that your laminate flooring remains perfect and will help smooth out all minor irregularities. Underlay helps with thermal insulation and the correct kind of underlay will act as a buffer and also provide acoustic insulation; helpful if your laminate flooring is being installed on the first or second floor of your home. If you’re interested in having Aqua-Step laminate flooring in your home or commercial property, call us on 0113 223 4219 or check out our contact page.